(Roberto de Mattei / Translated by Francesca Romana – november 16, 2018 ) An answer has finally arrived. Not the answer – vainly expected – from Pope Francis, but a significant one nevertheless, from a journalist who is part of his close entourage. The author is Andrea Tornielli, the Vatican reporter for La Stampa, in charge of the website Vatican Insider. Along with the journalist Gianni Valente, he just published The Day of Judgment, an extensive paper on the “Viganò case”, with the eloquent subtitle: Conflicts, power struggles, abuses and scandals. 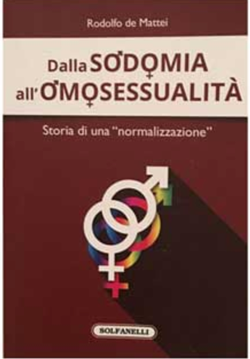 What is really happening in the Church (Edizioni Piemme, 255 pp.). Tornielli’s main thesis is that Archbishop Carlo Maria Viganò’s testimony on the scandals in the Church is an “attempted coup” against Pope Francis, hatched by an international politico-media network “in alliance with sectors of the American Church and support also in the Vatican Palace.” (p.3). La Stampa’s Vatican reporter interprets the current religious war as a struggle for power rather than a battle of ideas and seems to forget that this conflict was not triggered by those who defend the Tradition of the Church, but by those who would like to alter it completely. We fail to understand then, why the accusation of using the weapons of the media is reserved only for Pope Bergoglio’s critics and not his own “fans”. Didn’t the Vatican assign Mc Kinsey the project of unifying the instruments of communication by creating a single digital platform on which to deploy articles, images and podcasts? It is Tornielli himself who reports this in La Stampa of March 22nd 2018. For the Director of La Civilta Cattolica, Antonio Spadaro, the importance that Pope Francis gives to the Web and social network goes back to the very day of his election. At that time Jorge Mario Bergoglio activated “thousands of people, connecting them with his person and with what was happening, showing that he himself is a social network”, the Jesuit affirmed, while presenting his book Cyberteologia. 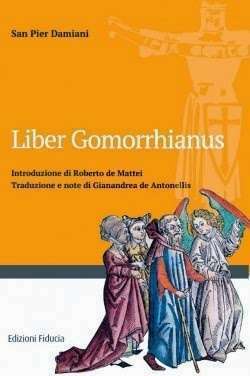 Pensare il cristianesimo al tempo della rete (Edizioni Vita e Pensiero). [Cybertheology. Thoughts on Christianity in the age of the Net]. If there are experts in the techniques of manipulation and exploitative use of news, we find them precisely among Pope Francis’ closest collaborators, from Spadaro himself to Monsignor Dario Edoardo Viganò ( no connection at all to his namesake Carlo Maria), the former Minister of Vatican Communications, forced to resign, in March 2018, as a result of the flagrant falsification of a confidential letter by Benedict XVI. Mons. Dario Viganò commissioned the director Wim Wenders to make the apologetic film, Pope Francis. A Man of His Word. In Italy a “magazine” is issued regularly carrying the name Il Mio Papa, which reports Pope Francis’s week. No Pope has ever used the weapons of the mass-media as much as Jorge Mario Bergoglio has. As far as the revelations made by Archbishop Carlo Maria Viganò are concerned, Tornielli doesn’t deny that Pope Francis had directly received information from him that Cardinal Theodore McCarrick had sexually corrupted his very own seminarians and priests. Neither does he deny the existence of the immorality inside the Church and of the widespread wickedness that allows it to grow. He admits that the problem of the scourge of homosexuality “exists” (p.169), even if he downplays it, by remaining silent on the existence of a group of active sodomites inside the ecclesiastic structures and of a likewise active “gay friendly lobby” which sustains them. Tornielli is unable therefore to disprove Archbishop Viganò, but he has to defend Pope Francis. He does this by acting like a gambler, who, finding himself in difficulty, raises the stakes. In this case, by not being able to deny the existence of deep corruption in the men of the Church, he strives to pin most of the responsibility onto Pope Francis’s predecessors, Benedict XVI and John Paul II. La Stampa’s Vatican reporter, in particular, puts in the dock John Paul II, to whom he attributes the rapid ascent of Cardinal McCarrick. “John Paul II had met McCarrick, had visited his dioceses four years previously, was impressed by that brilliant Bishop, who knew how to fill his seminaries, dialoguing at all levels with politicians, being a protagonist of interreligious dialogue, firm on the principles of moral doctrine and open on social issues.” (p.38). The appointment of the Archbishop of Washington, even then “gossiped about” in the Vatican, did not pass through the Plenary of the Congregation for Bishops, where it should have been discussed, but arrived instead through a “summary examination “as happened at times and happens for certain appointments, decided precisely “by the apartment” [the Pope] with no passage of collegial discussion by the members of the Ministry.” (p.40). Tornielli insists: “Wojtyla was by no means as “ill”, as Viganò in his dossier would have us believe. Quite the opposite. He appeared in fact, perfectly able to follow certain procedures of nominations, at least the most significant, the most important. Among these there was undoubtedly, the appointment of the new Archbishop to the federal capital of the United States”. “Moreover, it should not be forgotten the direct knowledge Pope Wojtyla had had about McCarrick, a Bishop appointed by Paul VI, but promoted actually four times by the Polish Pope: first with his appointment to Metuchen, a diocese created ex novo; then with his transfer to Newark, dioceses visited by John Paul II in 1995; then with his appointment as Archbishop of Washington, despite his already advanced age; and finally with his immediate inclusion in the College of Cardinals”. (pp. 43-44). Those who are faithful to Tradition, on the contrary, believe in papal infallibility, and know its extent and limits. The notion of the limits of infallibility allows those who have the sensus fidei to resist the “Dictator Pope” . The extent of infallibility will one day allow the Pope who wants to make use of it, to disperse the smoke of Satan penetrated inside the Church, by condemning errors without appeal and reaffirming with equal solemnity the perennial Truth of the Gospel.